Madison Roe’s talents and rich songwriting abilities have been compared to current artists such as Adele, Hozier, James Bay, Ed Sheeran & John Mayer. It has also been said one can detect influences from Jeff Buckley, Red Hot Chili Peppers, Coldplay, Sound Garden, Tom Petty, Fleetwood Mac and The Eagles in her sound. These are all artists & bands from the past & present that she listens to & loves. 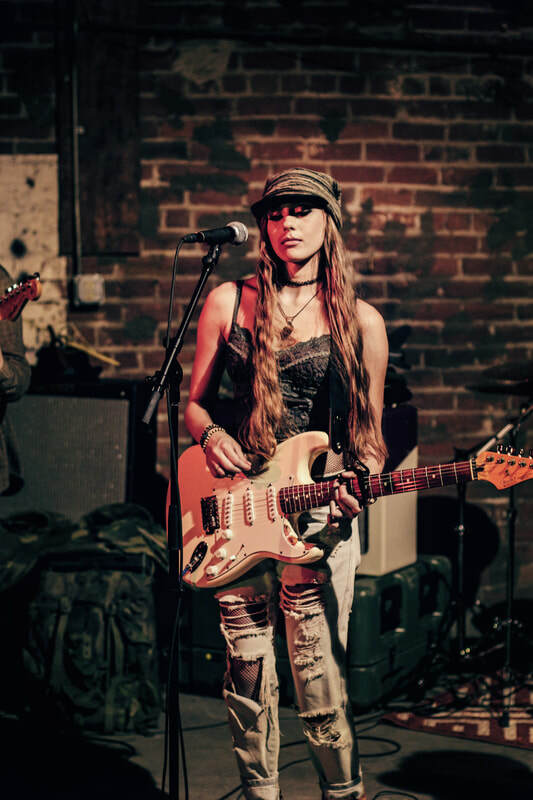 Some even say Madison Roe’s mature lyrics have a hint of the poetic genius and quality storytelling that is found in the works of iconic artists - Leonard Cohen & Bob Dylan. Many have also said that Madison Roe exudes the rich tone and dynamics of Adele, the soul of Amy Winehouse, the rock edge of Pink, and the youthful charisma & genius of her contemporary, Lorde. With her love of past iconic artists & bands from the 70’s & 90's, it's easy to hear these influences in the original writings & productions of Madison Roe, especially in her latest creations. 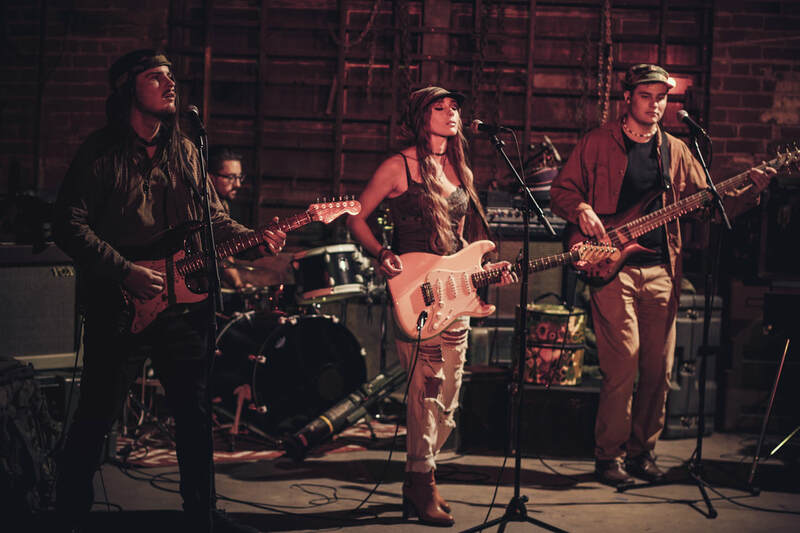 Madison Roe's newest songs definitely have a retro-nostalgic, throwback, guitar-based, pop-rock band sound, yet they are also fused with tasteful contemporary-inner-layers to please a wide audience from multiple generations. Madison weaves original, rich, social-commentary lyrics throughout her songs to create a thread of stories that interact subtly with each other. Madison Roe's latest organic, pro-analog collection succeeds in taking her listeners on an addictive, sometimes-dark, always thought-provoking, 'de-ja-vu' journey back and forth between the past and the present. NOTE - Madison Roe now has a prolific body of work with over 100+ solid original songs (many not yet produced). As she continues to write, her body of work continues to grow. A timeless, haunting, social-commentary / musical work that is universally relatable to just about every person, in every generation, living in our chaotic world today. Reminiscing the simplicities of the past, while comparing the realities of our complex present, Madison Roe's songs in this EP ask poignant, important questions concerning feelings & fears universally experienced by everyone alive today. This EP also gives a glimpse into Madison Roe’s upcoming album called ‘Questions’. When released sometime in 2019, her 12 songs in this upcoming album are sure to open an expanded portal to thoughts and emotions, collectively felt and feared by both young & old. Recognizing universally relatable problems, Madison Roe believes hard 'Questions' must be asked, individually & collectively, to have hope of finding answers that can build bridges to bring people of all generations together in creating long-lasting solutions. On iTunes & Spotify all of her song releases written & recorded previous to 2017 are found under the artist name of just "Madison". All releases from 2017 on are found under the name ‘Madison Roe’. Madison Roe has now relocated from her beautiful island home on Kauai, HI (2500 miles away) to the US Mainland (New Home-Base: AZ) to have expanded opportunities to take her career further & farther & faster to the next level. Madison Roe is honored to now have an official sponsorship with ‘Fano Guitars’, the highly respected, premiere boutique guitar company based in Scottsdale, AZ. Madison was first introduced to Fano Guitars by her friend, Jared Scharff, lead guitarist for SNL’s In-House Band. Fano Guitars approached her about the sponsorship, saying they've been following her on Instagram for quite awhile, and they love her music and believe in a bright future for her. As a result, Fano was excited to get one of their beautiful high-end guitars into Madison's hands. And Madison, likewise, was very excited to be able to take part in the designing & customizing of her own unique Fano guitar, as well. Madison feels very honored to have this opportunity to be an official Fano sponsored artist, and to be in great company with the other Fano artists, as well. Fano has established relationships & has their guitars in the hands of many well-known and highly respected musicians / artists & bands around the world, including 'Death Cab For Cutie' - lead guitarist, 'The Kings Of Leon' - lead guitarist, 'Gwen Stefani' - lead guitarist, and SNL - lead guitarist, just to name a few. Madison looks forward to an exciting future, being part of the 'Fano Family' and sharing the rich sound of one of their beautiful instruments with all of her Fans! ​On the side, Madison Roe also now does occasional modeling for the highly respected Verity Couture Decor / Cyndie Verity’s living works of art models for high-end celebrity events. As an example, she just recently finished an event where she was one of 6 models featured at Alice Cooper’s 70th anniversary large charity event and private concert. She also just finished 2 back-to-back prestigious events put on by Larry Fitzgerald, of the Phoenix Cardinals, where she again modeled on the red carpet and at the main events, as part of Verity Couture’s living art. One of those events was Larry’s annual fundraiser / charity event called the ‘Fitz Supper Club’ and the other was a prestigious private party for the Phoenix Cardinals and their families. Madison does enjoy modeling but, of course, her music career is her primary focus and first love always. 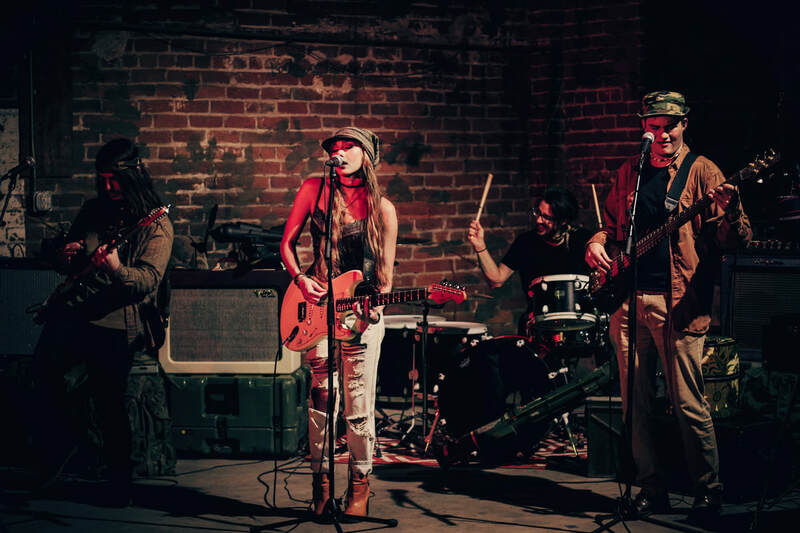 Madison Roe’s sound & style have certainly evolved over the beginning of her artist inception years, as she has organically grown and matured in her life, career and songwriting abilities. Growing up on the island of Kauai, Hawaii, it was the natural thing for Madison, as a young artist, to start her songwriting style with the soft acoustic sounds of an ukulele & acoustic guitar, both so comfortable and familiar on the islands. Her sound at the beginning was definitely influenced by listening to artists like Colbie Caillat & Jack Johnson. As one listens to Madison’s first two albums, written between the ages of 13 to 15 years old, her listener can discover the changes that have naturally evolved in her music over time as she's grown older. Picking up and falling in love with electric guitar at 16 years old, her sound of today has definitely evolved into a more current progressive Indie Pop / Rock sound, blended with nostalgic influences and organic styles from the past. It's been said: "Madison is a rare treasure, worth seeking out & discovering while on Kauai.." AND... "This young blonde-haired, blued-eyed rising star, with that smoky, velvety voice to fall in love with, is destined to grow her music & career far beyond the shores of Hawaii". These independent endorsements alone, continually brought new audiences to see Madison at many of the exclusive, top-rated Kauai venues (ie. The St. Regis Resort, Kauai Beach Resort,The Sheraton, The Hyatt etc.). Multiple songs from Madison's 1st two albums are still consistently playing on Hawaii radio & satellite radio worldwide. ​At the age of 13, Madison was chosen to be featured in a well-received book about certain Hawaii families' chosen forms of education (ie homeschooling, free schooling, private schooling etc. ), recognizing the need for alternate, flexible systems of education for gifted, successful, people with island ties. This book was focused on professionals in both the surfing world and the music industry, who live on the islands. Madison’s 3-page feature in the book was directly before Jesse Carmichael’s feature story (Maroon 5). It was quite an honor to be featured in this beautiful full-colored, highly respected book. Nov 2012 - After an international YouTube video search by andPOP Magazine, Madison’s unique organic version of “I Knew You Were Trouble” on YouTube was chosen and featured as one of andPOP Magazine's Top 5 favorite Taylor Swift covers worldwide. It's fun to look back on that performance now & see how young Madison really sounded then compared to now. Beauty Bliss magazine, out of Canada, also discovered & fell in-love with Madison’s videos on YouTube. As a result, they did a 6 pg. feature article on Madison, which led to further international attention, as well. Madison’s original ‘Just Thinking Of You’ was licensed to CW Network and played in a long, opening scene of the TV Series: 'The Messengers' in the fall of 2015.